Little amounts of money across 200 million wallets can quickly add up. Paytm’s had a stellar few months, and has seen its user growth skyrocket since the Indian government’s demonetization move. At the beginning of 2016, Paytm had 122 million wallet users. That number had risen to only around 140 million before 8th November – a sedate gain of 18 million wallet accounts over 10 months. But by December 2016, Paytm had 177 million users, having added twice as many users in the 7 weeks after demonetization than it had done all year. Last week, the company announced that it had touched 200 million wallet users. This has also meant that Paytm’s reserves from wallet accounts have also ballooned. Users don’t usually keep large amounts in wallets, as it doesn’t earn interest, but don’t mind having some spare change in there. It turns out Paytm’s now sitting on Rs. 900 crore of money in its wallets, at an average of Rs. 45 per account. This is a tidy sum, and is doubly useful because it can earn interest for the company. Paytm is a semi-closed wallet, and while earning interest on wallets isn’t straightforward, wallet companies can put their money into escrow accounts and can earn interest on them based on the deals that they can make with non-banking entities. The interest rates can be high – even higher than interest earned on savings accounts. “It (the money from wallets) earn more than 6% on the average balance and in the range of fixed deposit rates,” MobiKwik founder Upasana Taku had said. Which means that the balance can earn sizable revenues for Paytm – even a 6% annual interest rate on Rs. 900 crore would mean a cool Rs. 54 crore annually. But this amount is still a small fraction of Paytm’s overall revenue, which was Rs. 944 crore last year. Paytm also pumps in a lot of money into building its business, and spent Rs. 1546 crore on advertising and promotional expenses alone last year. Its overall losses were Rs. 1535 crore in FY 16. But investors aren’t worried as long as it continues with its breakneck growth – Alibaba has said it’s putting in another $200 million (Rs. 1,350 crore) into the company. 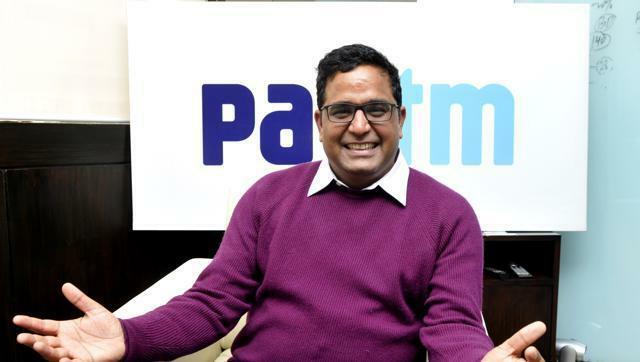 At 200 million users, Paytm is now among the most-used internet services in India, neck-and-neck with Whatsapp, which has 200 million active monthly users. But the company will need to ensure that as it grows its users, it also grows its transactions – as of February, nearly half of Paytm wallets didn’t have any money or debit and cards associated with them.